Like many of today’s working professionals, teenagers of today have a hard time switching off from technology (literally and metaphorically). We’re all so attached to our phones, laptops and tablets that, even when we leave the office or campus, we haven’t actually left – we still have email on our phones. In the case of teenagers, they’re connected on multiple fronts to their classmates when discussing homework and study. This lack of physical separation fosters an inability to emotionally and intellectually separate, the flow-on consequences of which include: lack of or disjointed sleep, disordered eating, increased senses of isolation, competition and perfectionism, and a decreased capacity to unwind and relax. Social media use via devices is particular concerning for high school students. Teenagers who report the largest time periods spent on social media screen as being less content, and are more likely to say that they get into trouble, are often sad or unhappy, and are – perhaps ironically – bored. The advent of platforms such as Instagram and Snapchat also engender an environment in which teens feel intense pressure to perform or be a certain way, all the while forgetting that what people post on social media consists predominantly if not solely of one’s highlight reel, not the behind-the-scenes stuff. For teens, excessive time spent on social media or using tech devices has a significant impact not just on productivity, but gives rise to psychological distress, anxiety and depression, together with other issues faced while at high school. But there is another side to the coin here. 68% of young people say online resources help them work through mental health issues, 70% say such resources make it easy to seek help, and 64% say the online sphere helped them better understand their experiences. That is, technology actually helps teens to better manage health and wellbeing. High school students face many barriers when it comes to accessing support for mental health – stigma from both themselves and those around them, cost, transport, waiting times, etc. – and, as such, online resources can assist in delivering services in a speedy, secure and cheap fashion. This can be even more important for students even more susceptible to ill health (statistically speaking). 97% of students who identify as LGBTQI say online services provide them with a safe and supportive community. 16% of students from regional and remote areas say they had not sought help prior to utilising the online sphere, despite feeling or knowing that they needed assistance. According to ReachOut, 1.31 million young Australians access its own digital services. These numbers obviously go up when considering use of other services as well. Logging on to the Internet and seeking mental health support was not the done thing when I was in high school. But it is clear that the students of today are flocking to the online sphere for assistance that is not only convenient easily accessible but also confidential, anonymous and immediate. In light of this, it’s hard to ignore the benefit of social media and technology for the younger generation. How, then, should teenagers balance these competing needs? 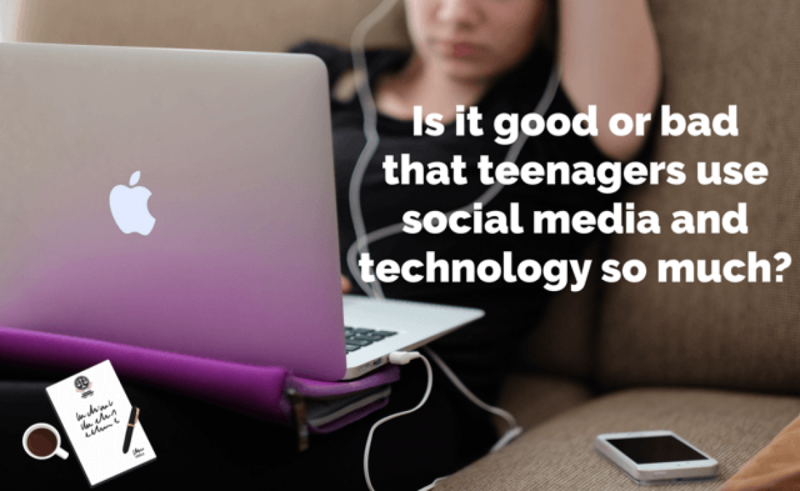 As with anything, we – as well as teens – need to use social media and technology in moderation. Switch off your devices 30-60 minutes before bed. Lock yourself out of your phone, or apps, if you need discipline. Schedule “check-in” times for email, Facebook, and everything else so that you’re not constantly tuning in. Leave for phone and laptop in other rooms for certain periods of the day, so that you’re forced to disengage. And, for teenagers, there too needs to be awareness of the realities of such platforms: while social media and technology both keeps you connected to your friends for study and social purposes, and can get you quick and easy help for any wellbeing issues, overuse can bring about those issues you’re trying to address in the first place. As Mitch said, using it in the right way helps us live a more balanced life. Vogl G., Ratnaike D., Ivancic L., Rowley A. & Chandy V. (2016). One Click Away? 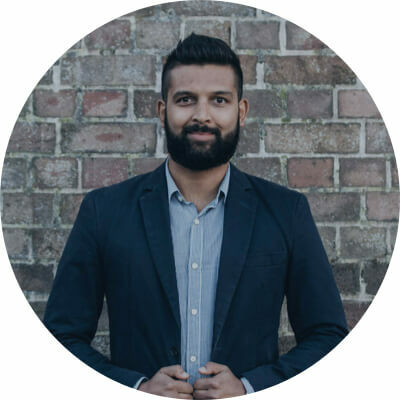 Insights into Mental Health Digital Self-help by Young Australians. Sydney: EY and ReachOut Australia.